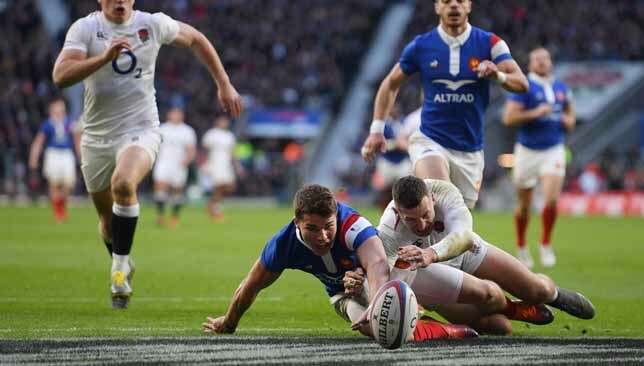 Jonny May scored a hat-trick of tries as England continued their stunning start to the Six Nations by hammering France 44-8 in their biggest win against their old rivals since 1911. May completed his treble inside half an hour, capitalising on a brilliant kick from Chris Ashton for his 22nd international try. 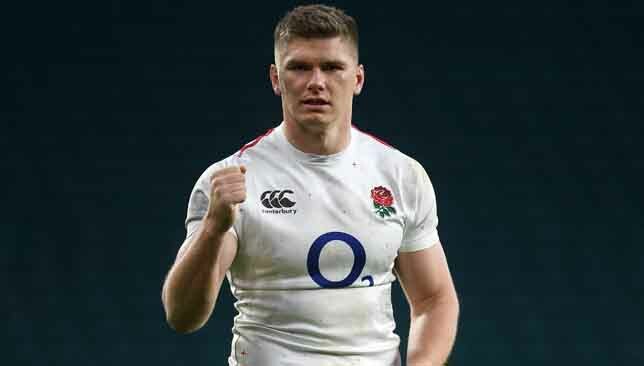 Owen Farrell and Henry Slade completed the scoring as the Red Rose made it two wins from two in the championship. Here’s our report card from a one-sided contest. 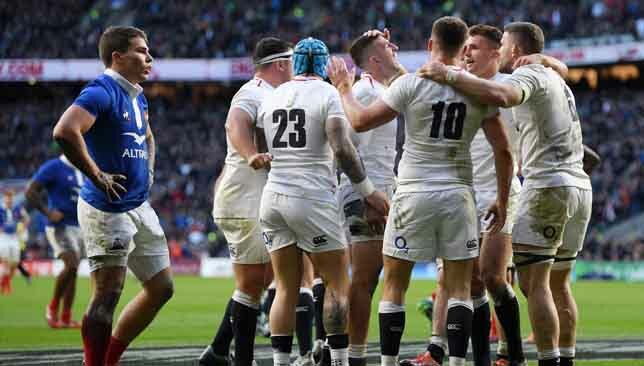 England game plan: Although many would prefer to see a bit more ball-in-hand running, England’s kicking game were seriously impressive for the second week in a row. With Farrell and Slade pulling the strings, the little kicks through stretched the opposition back three at every opportunity and exploited the space with the lightning pace of Elliot Daly, Ashton and man-of-the-match May. They may have been clinical in all aspects, but the kicking prowess and fast defensive line is a serious threat, and will undoubtedly put title rivals Wales – far off their best against Italy – under immense pressure in two weeks time. 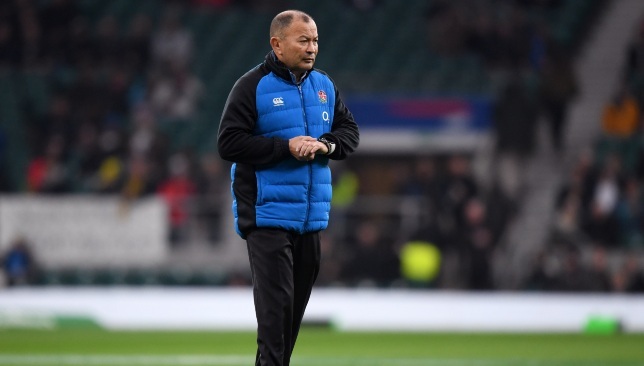 Farrell world’s best right now: He was labelled hotheaded for his style of leadership in the build-up to the Six Nations but has stayed at room temperature so far. His kicking from hand was exceptional against France and constantly exposed the visitors’ positioning with his clever kicks, vision and solid distribution. His communication in defence is also sublime and adds another attribute to his vast array of skills. On form, no one can currently rival him. France lack spark: In a first half where England had 63 per cent of possession and 71 per cent of territory it was going to take every ounce of France’s commitment to keep the Red Rose in check. But France showed no organisation and energy in their defence and conceded four tries. Although the stats may only point to 16 missed tackles overall (94/110) in comparison to England’s 31 missed tackles (148/179), France looked devoid of any spark with or without the ball. Poor Bastareaud: Not an international quality standard centre. The Toulon man brings absolutely nothing to the table and was caught out on countless occasions against England. His fitness, discipline, positioning and general influence on the game is limited and it’s a joke to see the 30-year-old still getting game time at such an elite level. If Jacques Brunel wants more imagination from his midfield, he needs to bring Gael Fickou off the wing to partner Wesley Fofana in the centre. 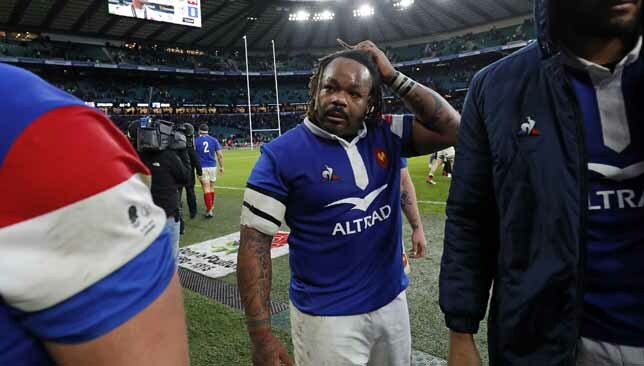 With the way Bastareaud played at Twickenham, he wouldn’t make Dubai Eagles’ second XV. 2 minutes – Guirado knocks on at halfway line, and England spread the ball wide. Daly slips through a ball and May touches down (5-0). 7 minutes – Farrell converts a penalty to make it 8-0. 10 minutes – Les Bleus are on the board through Morgan Parra’s penalty (7-3). 12 minutes – Farrell lands another kick to stretch the advantage (11-3). 24 minutes – England power forward and Farrell weaves a long pass out left and May steps inside Penaud to score from close range (16-3). 30 minutes – The Leicester man completes his hat-trick on the half way mark. Parra knocked on and Ashton sends a grubber forward, with May running clear to dive over. Farrell converts (23-3). 35 minutes – France come fighting back. Camille Lopez slips a pass to Yoann Huget. The Toulouse full-back bursts past three defenders before passing the ball to Penaud who dances over in the right corner (23-8). 40 minutes – Slade crosses for his third try in two matches just before the break to increase the scoreline. Farrell converts (30-8). 50 minutes – England are awarded a penalty try after Ashton, who had a clear run to the line after a clever kick from Slade, was brought down by Fickou (37-8). 54 minutes – May sends a kick through and Farrell runs in support to dive over. Referee Nigel Owens goes to the TMO but the try is awarded. Farrell makes no mistake with the conversion to make it 44-8. England looked so comfortable and in control at Twickenham. Their excellent defence, kick-contest, and kicking into space had France on the ropes all afternoon. In fact, any time the home side opted to kick in behind the France back three, they looked like scoring. May will hog the limelight for his hat-trick, but in Tom Curry, Courtney Lawes, Slade and Farrell, they had key performers who look a class apart on their day. France, for all their lack of creativity, did improve in the second half – with 66 per cent possession – but failed to put any points on the score board. 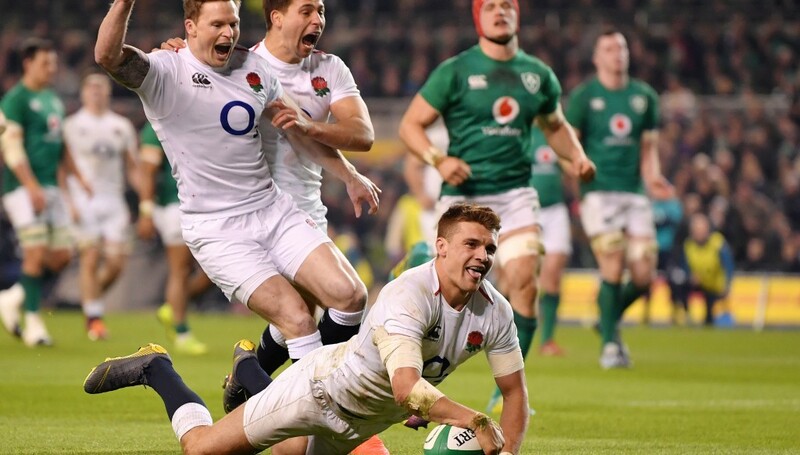 This was nearly the complete performance from the Red Rose and continues their superb start to the Six Nations. There were a few handling errors and Farrell may have missed three of his six conversions but this is as close to perfection as you can get. The visitors were outplayed right from the first moment to the last. They showed better in the second period with the introduction of Dupont and Ntamack, but they are clearly a team without a plan, short or long-term. 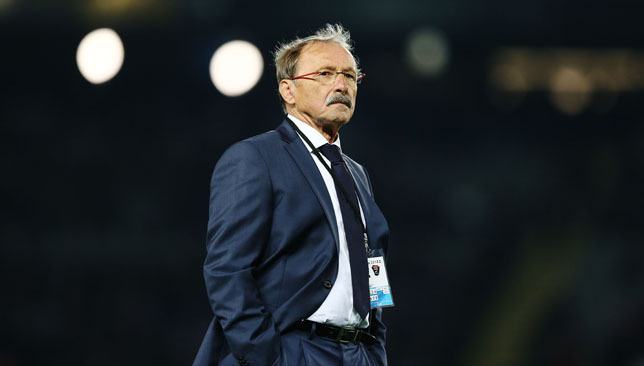 France are known to try a variety of tricks to reduce the game to a speed that suits their substandard conditioning under Jacques Brunel. England have urged officials to prevent scheming France deliberately slowing the tempo of Sunday’s Six Nations clash at Twickenham. “For me as a front rower I would be happy if they slowed it down,” the Saracens loosehead prop said. Josh Adams scored Wales' first try. 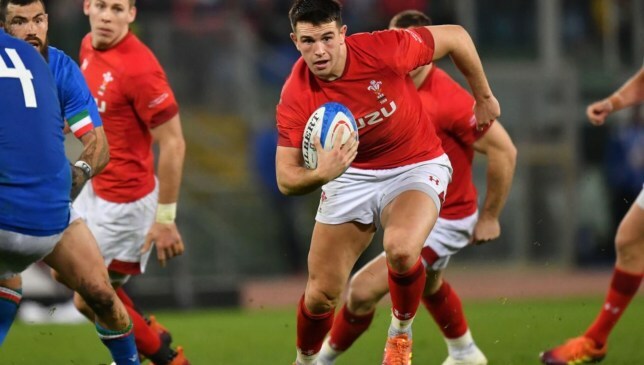 Wales backed up a Six Nations victory over France by defeating the Azzurri 26-15 in Rome thanks to second-half tries by wing Josh Adams and centre Owen Watkin. “There are lots of things we need to improve for England,” Wales head coach Gatland told ITV. Owen Watkin was bright and scored his maiden try for Wales. Speaking at his post-match press conference, Gatland added: “It wasn’t a great performance, but sometimes you have to win ugly. Asked if he regretted making wholesale changes, Gatland said: “I don’t regret anything. I was looking at the bigger picture. “For us as coaches, in our last year, we want to have as good a World Cup as we can. That was the plan all along. There is no regret. “We are two (wins) from two, and we have a couple of weeks of training before England. It sets us up nicely for the England match. “A lot of people will be writing us off, which is a good position to be in. Hopefully, we will go under the radar, have two good weeks of training and get ourselves mentally and physically right. “We didn’t really get out of jail. I don’t think it ever looked like we were going to lose the game, but we weren’t as accurate as we could have been. “You are not always brilliant, and we weren’t today. We will be a lot better against England. “We didn’t speak about the record (11 wins) at all this week, but we will probably talk about it before England. 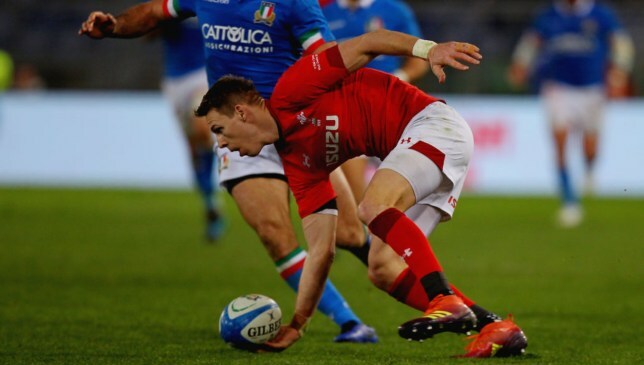 Liam Williams’ run created the opening Welsh try for Josh Adams. 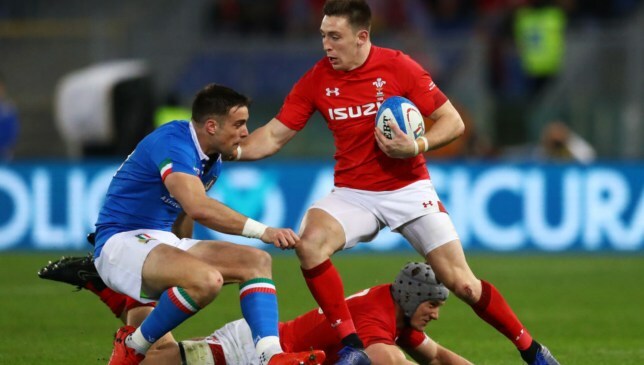 Fly-half Dan Biggar kicked 14 points and Gareth Anscombe converted Watkin’s touchdown, but Italy, despite slipping to a 19th successive Six Nations defeat and a 13th on the bounce against Wales, battled hard throughout. Reflecting on the result, Italy boss Conor O’Shea said: “I am really disappointed.